POLICE are seeking witnesses to a hit-and-run collision in West Sussex. Two motorbikes crashed in Midhurst and a 26-year-old from Liss, in Hampshire, ended up in hospital with a broken ankle and foot. 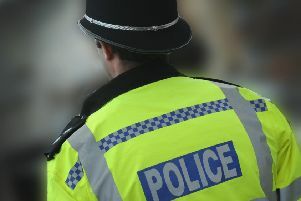 Police said the second driver failed to stop after the crash last Wednesday (May 13) on the A272 Petersfield Road, near the junction with June Lane. The appeal was issued by Sussex Police this morning (May 18), saying the motorcyclist’s red Yiying motorcycle was struck by an ‘unidentified motorbike travelling in the opposite direction’. “It is known that the other motorbike, which was dark-coloured, was overtaking a beige Vauxhall Zafira at the time, heading towards Midhurst from the Petersfield direction,” said a spokesman. The injured motorcyclist was taken to the Queen Alexandra Hospital, in Portsmouth. Anyone who witnessed the collision, saw the vehicles in the area, or has any information about the incident or the rider who failed to stop was asked to email 101@sussex.pnn.police.uk or call 101 quoting serial 763 of May 14.